Writing for a living has its benefits, especially if you’re a freelance writer. You’re pretty much in control of your work schedule and your writing productivity, and how you manage your time is totally up to you. 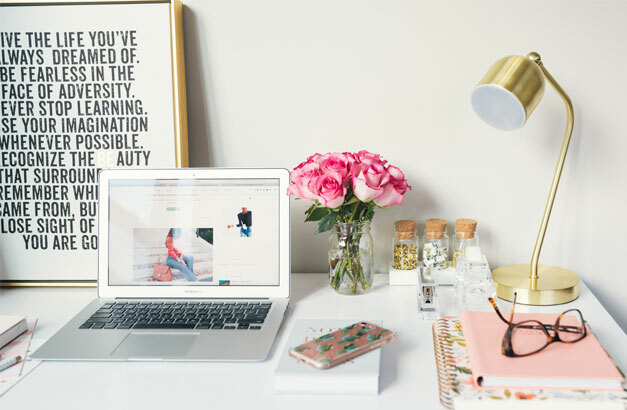 Though there are deadlines to meet, there’s also the freedom to work on your own terms, at your own pace, and from anywhere you want – your home office, the kitchen garden, your dining-room table or even the beach. And if that wasn’t enough, you are also free from the pressures of a boss watching over your every move. Yippee! But there is a flip side too. 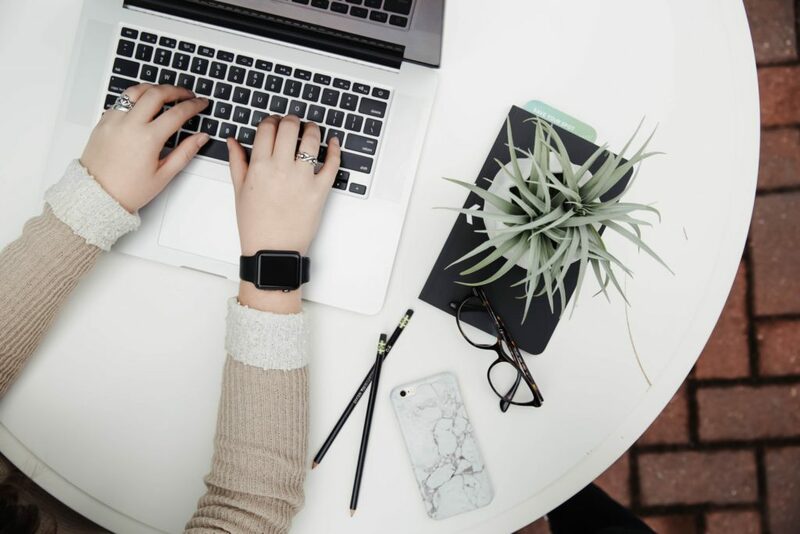 Since you aren’t working a fixed number of hours in a controlled office environment, it is easier to lose focus, to procrastinate, and to feel distracted by the goings-on around you which can severely harm your overall writing productivity. Things get even more difficult when you’re the one responsible for generating high-quality content for your writing business or blog on a regular basis. I speak from experience. 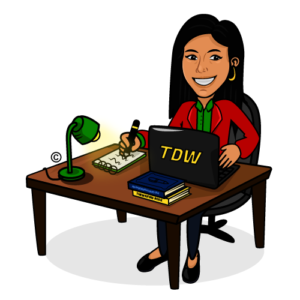 Having worked as a full-time, work-from-home content writer for so many years, I’ve long noticed that our surroundings can have an enormous impact on our writing efficiency. The next time you’re struggling to get the right words to flow, become mindful of the physical space around you and consider whether or not you’re in an environment that motivates you to write. Chances are you’re not. Though in our private thoughts, we may dream about having a custom-designed office or an ocean facing writing retreat, brimming with inspiration; in reality, few writers can afford such luxury. Others simply have to make do with whatever little space they have. Whether we realize it or not, our writing environment has a huge bearing on our ability to create good content consistently. If you struggle to ‘slip-into’ the writing zone and feel uninspired to get more written in a day, your routine writing space or your ‘writer’s nook’ maybe to blame. There are some spaces, things, and associations that invariably make us feel sleepy, bored, distracted and even stressed out, and those are the surroundings to avoid. What this translates into is a happy realization that you can speed up your writing, feel more inspired, indulge your creative side, and accomplish more in a day by making a few small alterations to where you write. And the best part is these changes are easily doable, light in the pocket, and fun. Do I feel good about the space I’m seated at right now? Am I excited to spend my entire workday in this space? Am I drawn to this space when I think about writing good content? If you answered ‘yes’, you’re already in your happy place. However, if your responses were in the ‘negative’, you may want to move to a different part of your home/bedroom/spare room or wherever it is that you work from. Due to space constraints, if moving is not possible, spend a few moments to think about what it is that you dislike about the space you’re in? Given an opportunity, what are the top 5 things you would like to alter in this space? These changes can be as simple as getting yourself a new ergonomic chair, painting the walls in a fresh colour scheme, de-cluttering your writing table, or just adding better lighting options. Write down your preferences and think about ways to implement them to create your ‘happy’ space and boost your writing productivity. Time and time again, research has proven the benefits of sunlight as opposed to using artificial lights. 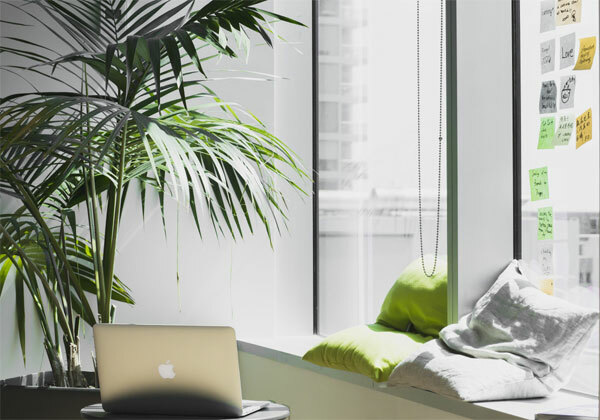 Natural lighting not only enhances the mood and raises levels of happiness; it also improves focus, reduces chances of eye strain, and promotes creativity. Working in a place that is ventilated regularly and that gets plenty of natural light is much better than working in a closed room, brightly lit by artificial lights. So if you wish to make your workplace more cheerful and inspiring instantly, roll up those blinds, open up the curtains, and let the rays of the sun pour in. Even if your space gets limited sunlight, you can still make the most of it by moving your writing desk closer to the window. All set to soak up the sun and feel more inspired to write? No matter how small or modest your work area may be, it can be tweaked so that it becomes an extension of your personality. Your writing space should be warm and be inviting, and it should make you feel positive and motivated to write. After all, it’s where you’re going to get your best work done. 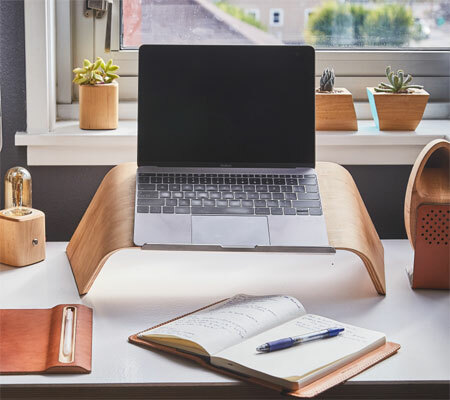 The colours, pictures, and accents on the wall, your writing desk and chair, the book stand, and even the pen stand should ideally be to your liking so that when you enter your workspace, you feel excited to spend your day here. Believe it or not, adding character and depth to your work area and personalizing it to make it more inspiring isn’t difficult at all. Small improvements and subtle embellishments can refresh your writing nook and boost your creativity, without burning a hole in your pocket. Out with the Outdated – Replace old and worn out wall hangings with fresh artwork to add a dose of creativity to your space. If you do not want to spend on purchasing paintings and other artwork that’s available on the market, create your own artwork or look for artwork in your home and place it in your writing corner. You can even create a collage of your memorable family pictures or frame your child’s latest sketch and hang it at your preferred spot on the wall. 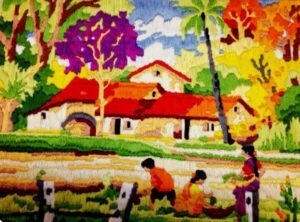 My embroidered artwork – ‘The Village Fields’ adds a burst of colour and inspiration to my writing space. Colour Therapy – Paint the walls in a pleasant color that makes you feel good and inspires you to work. You might want to read a bit about effects of different colours on our mood and personality. Motivation Galore – Write your all-time favourite quotes on colored chart papers and put them up on the walls around you to surround yourself with motivating thoughts. 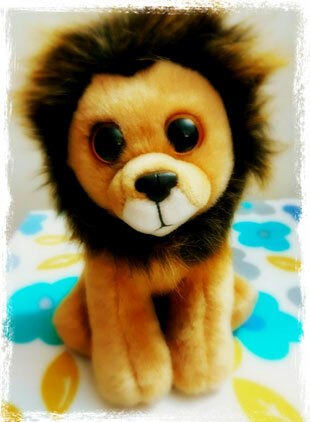 Memories & Objects That Inspire – While certain objects and associations can make us unhappy and de-motivated, others can cheer us, making us feel good about where we are and what we’re doing. It’s up to you to realize what gives you happiness and positivity and try to include it in your space. 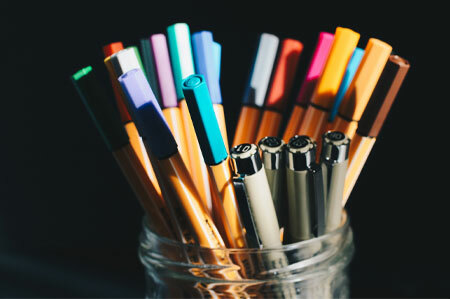 For instance, if you like travelling and have been picking up small knick-knacks from each of your travels, why not place some of your cherished souvenirs in your writing space? Remember, there is no right or wrong way to customize your writing desk. Whatever motivates you to write is a good addition to your space. Working indoors for long hours can feel quite restrictive, monotonous, and tiring. If you can’t make time to step out for short breaks, why not bring nature into your workplace? There’s nothing like a bunch of fresh flowers or a pouch of potpourri (Rosemoore Multi Colour Driftwood Box Scented Pot Pourri For Living Room, Washroom, Bedroom, Office ) in a pleasant fragrance to refresh your office and to make it smell beautiful. 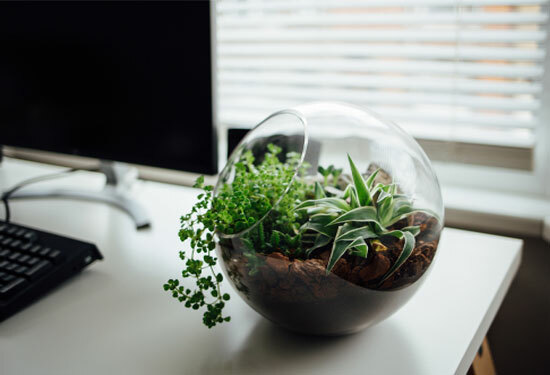 You can also invest in a few air-purifying indoor plants that require little space, add a whole lot of greenery, and are great for cleansing the air. Nothing can dampen your creative spark and hamper your writing productivity like an over-crowded and cluttered writing desk or workspace. Too many unnecessary and irrelevant things around you can sap your energy and interrupt your chain of thoughts. So if it’s been a while since you last looked at what’s occupying your table and your space, do it now! Go through that pile of paperwork you’ve been avoiding. Organise your invoices, important papers, and receipts, and stack them in the file cabinet. Sharpen your pencils and get rid of pens that don’t work. Remove that rickety stool from your space and replace it with a comfortable chair. When you clear up your writing desk from time to time, your workspace and your workday will feel lighter. De-cluttering is therapeutic. Try it today; you’re going to be thankful you did! How do you refresh your writing space and keep yourself inspired to write?